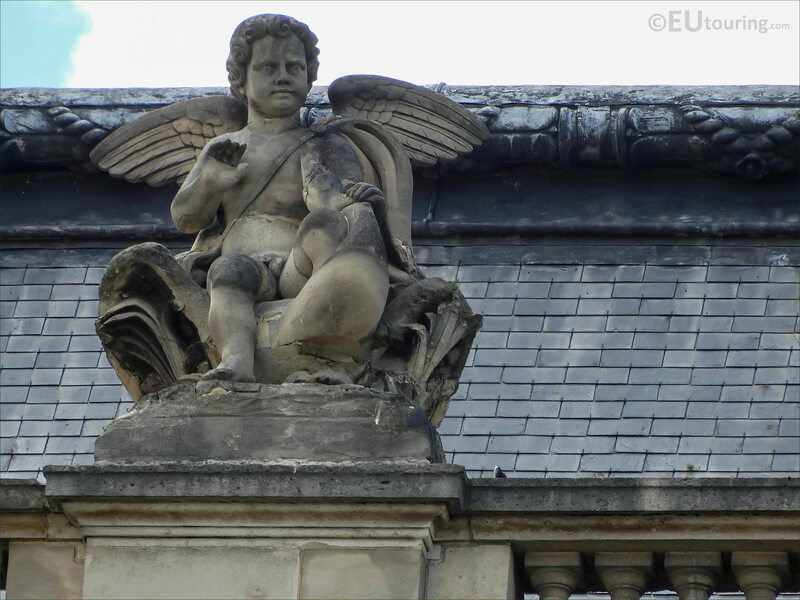 While we were in the 1st Arrondissement of Paris at the Musee du Louvre, we took these high definition photos showing a statue called Amour, which was sculpted by Pierre Bernard Prouha. 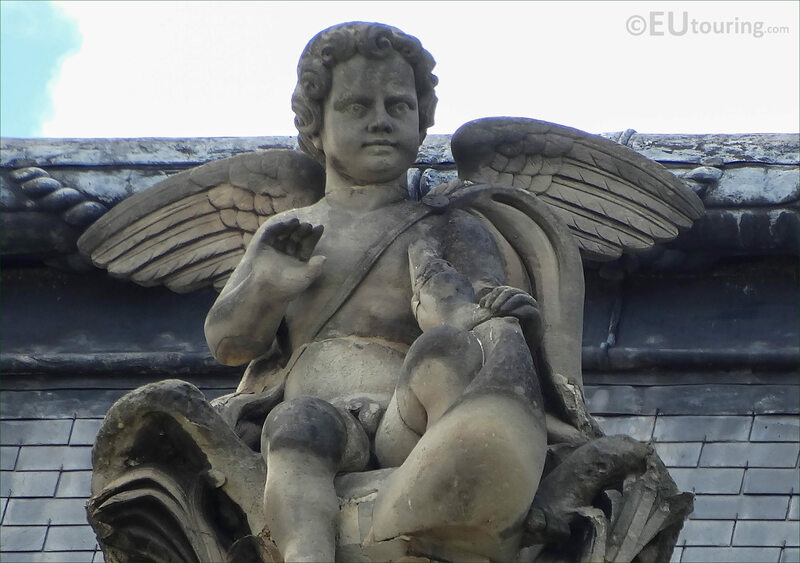 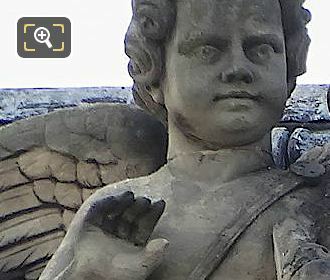 This first HD photo shows an allegorical statue called Amour that is located on the Pavillon des Etats of the former Palais du Louvre, and produced in stone back in the 1860s, in English this allegory of a winged child translates to Love. 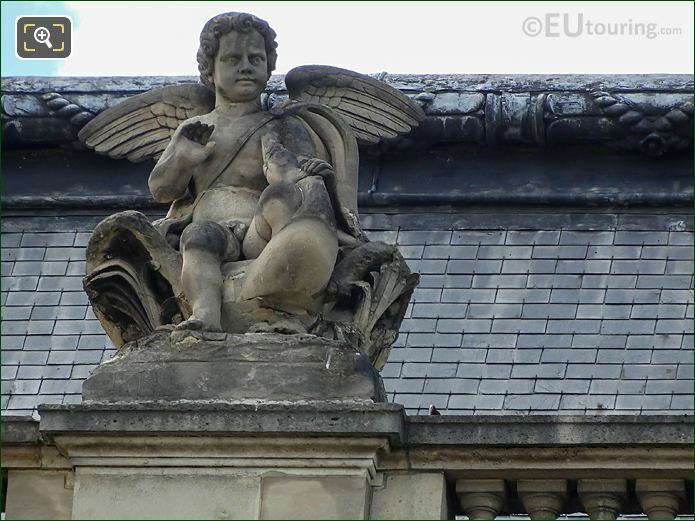 Now here you can see the detailing that went into producing the Love statue, which was by Pierre Bernard Prouha who was born in 1822 and studied to become a French sculptor under people such as Etienne Jules Ramey, present works at Paris Salons from 1855 right through to the year he passed away in 1888. 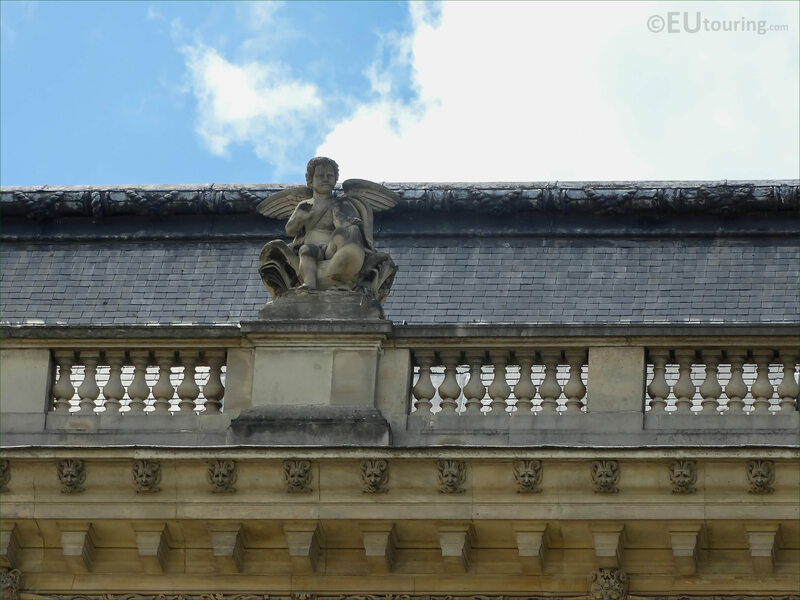 And becoming well recognised, Pierre Bernard Prouha received no less than five different orders for statues on The Louvre, although one of them that should have been placed on a facade, ended up going to a popular tourist attraction of the Chateau de Fontainebleu. 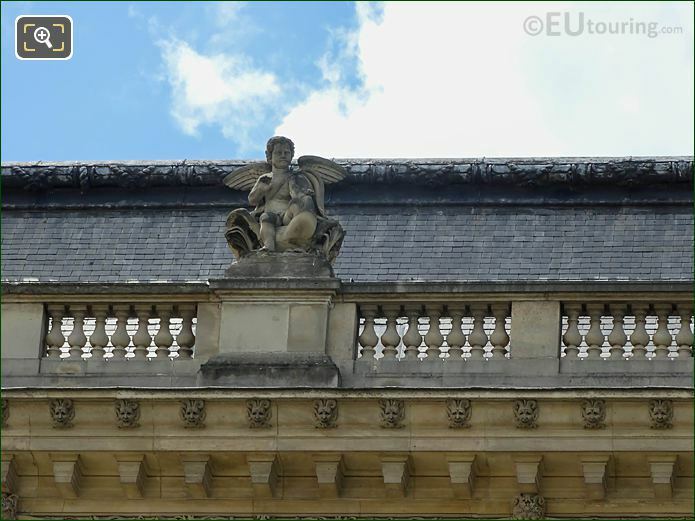 However, in this photograph you can see that the Amour statue is positioned in the balustrade by the roof line of the Pavillon des Etats, and when you are looking at this northern facade of the Louvre Museum from the courtyard called the Cour du Carrousel, you will see that it has been positioned second from the left hand side.